The Truth About Plant-Based Diets? Think eating a plant-based diet is going vegan or vegetarian? Think again. While vegetarian and vegan diets are defined by what they exclude, a plant-based diet is defined by what it includes — lots of plant-based foods! This means an eating plan based mostly on veggies, fruits, nuts, soy, legumes, pulses and wholegrains rather than on animal sources such as meat, eggs and dairy. In other words, it’s not a “diet” and doesn’t mean eating plants only. In fact, including a small amount of meat, fish, eggs and chicken is part of a balanced eating plan (if you choose to do so). 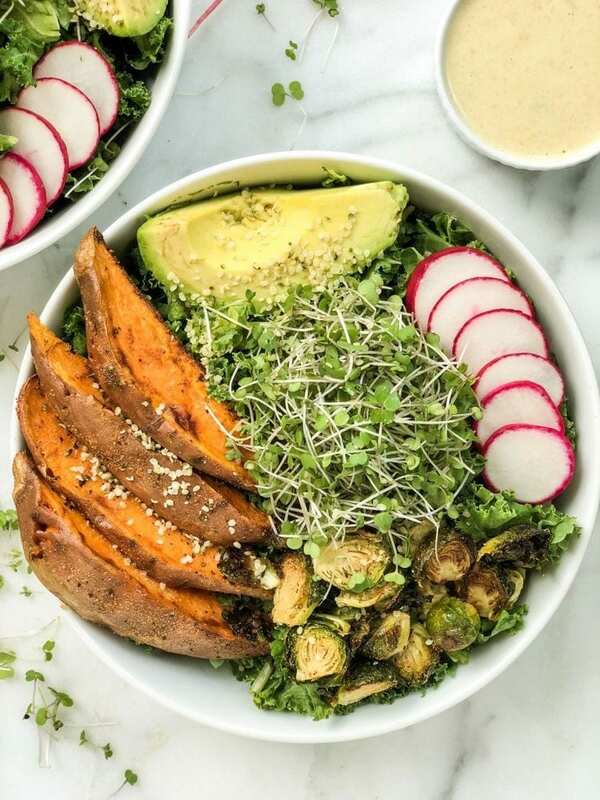 For all the nutritional strength of plants, it’s widely believed that vegetarian and vegan diets fall short on critical vitamins and nutrients, namely protein, iron, zinc and vitamin B12. We assume that most protein comes from meat, eggs and dairy products, but there are loads of vegetables, grains, legumes and nuts that can give you the protein your body needs — and you probably don’t need as much as you think. A good rule of thumb is that you need 1g of protein for every 1kg of body weight, so for someone who weighs 70kg, 70g of protein a day is more than enough. For a well-trained athlete or body builder, slightly more may be required. Think you need more protein shakes and bars? Stop right there, Aussies are actually eating more than enough protein. Beyond the amount of protein you’re eating, where your protein comes from matters, too. Some plant-based sources of protein lack B vitamins (namely b12), some are rich in iron and some aren’t rich in anything at all – so eating a wide variety is critical. 2. Nuts and seeds. Like fruit and vegetables, you should eat nuts daily to achieve a balanced diet. It’s recommended to eat a handful (30g) every day. Almonds, cashews, ground flaxseeds, chia seeds and quinoa (which is like a grain, but are actually a seed) are also packed full of heart healthy fats, fibre and polyphenols. 3. Greens, especially dark, leafy veggies. Most dark, leafy vegetables contain iron and a ton of vitamins, making them great for your whole body. Combine with vitamin C-rich foods and you enhance the iron absorption. Think kale, spinach, broccoli, Brussels sprouts and cabbage. Include them in salads and stir-fries with citrus, tomatoes or capsicums. 5. Fruits and veggies. Aim for five serves of both fruits and vegetables each day, with one serve equal to one cup. Eat plenty of different colours and from a wider range of types, preferably whole and in season — it’s cheaper and more nutritious that way. 6. Quality carbs. Carbs are not evil, just choose ones that give you lots of nutritional value. Sweet potatoes, whole grains like rolled oats, sourdough, whole wheat and barley and gluten-free options like amaranth, buckwheat, millet or corn should be your go-to. Try these easy tips to help you design a plant-based diet. Change the proportion on your plate. Fill at least half of your plate with vegetables, fruit, wholegrains and/or legumes, and make meat the condiment. Eat the rainbow. In can be easier to get more plants into your diet by adding different colours at every meal. Different colours often reflect different phytochemicals which occur naturally only in plants and may provide health benefits beyond those that essential nutrients provide. Meatless Monday. Dedicate one day each week to plant-based meals. Meatless Mondays are a fantastic starting point, and then over time expand to other days of the week too.